The Center for Media and Democracy (CMD) has released a special report on its year-long investigation into charter schools spending in the United States. 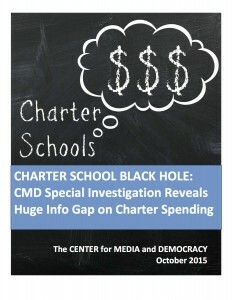 You can access the full report “Charter School Black Hole” here. The report reveals that over the last twenty years, $3.7 billion has more or less evaporated, with no transparency or accountability. 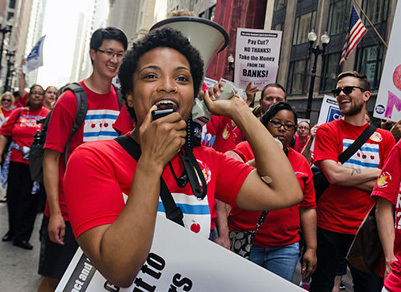 Eric Ruder breaks down how Chicago officials are using a budget “crisis” to help out their banker friends and advance their strategy of restructuring public education. Now the underhanded logic of Rahm’s re-election campaign should be plain to see. 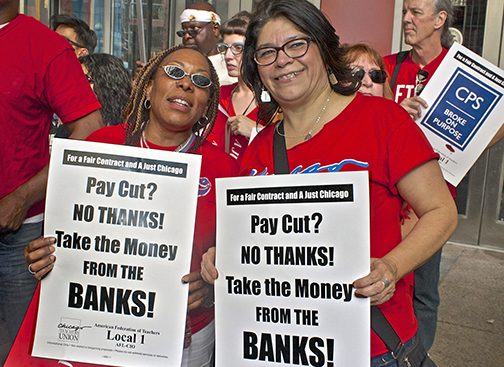 When he said that he was the only one with the necessary experience to get Chicago out of its looming budget crisis, he meant that he had experienced friends in the banking sector who would benefit from revolving the city’s debt and continuing massive borrowing at high interest rates–and he had enemies in the public sector to punish by making cuts in school budgets and teachers’ compensation. 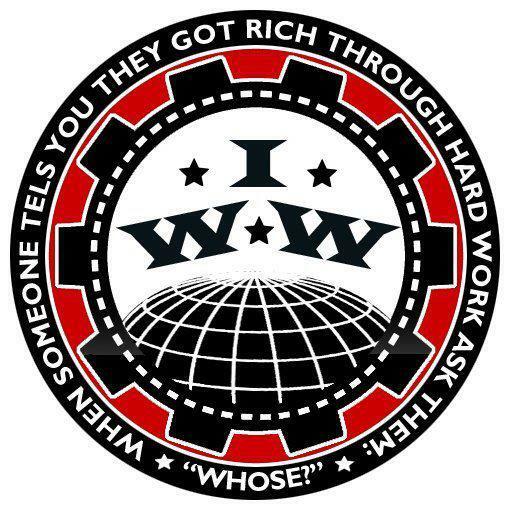 Kevin Moore and Rachel Cohen hack through the lies being used to promote charter schools in Chicago. One of the biggest misconceptions about charters is that the funds to run them come from private sources. While charters do receive donations and some private grants, 75 percent of their total funding comes from public resources. Another lie that charter school opponents are unmasking is the claim that charters perform better than neighborhood schools. In reality, according to researchers on the forum panel, 80 percent of charter students showed no improvement or a worse performance in reading, compared to students in traditional public schools. For math, the figure was 63 percent. 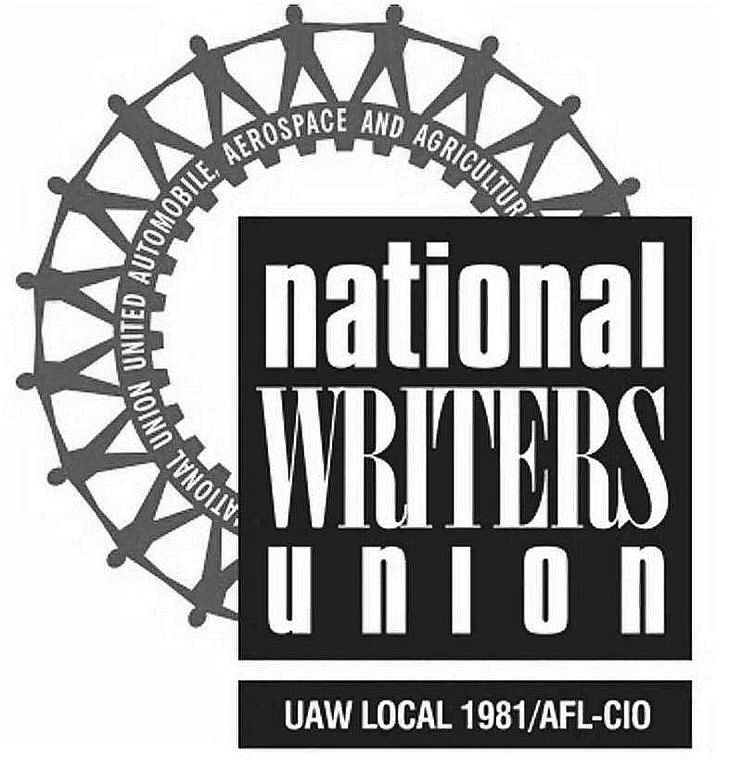 Read More: Unmasking the Chicago charter scam | SocialistWorker.org.